Participatory research is a key component of this program to generate a large and diverse baseline data on farming scenarios, weed pressure and failure across large geographical zones. This data will be used to refine current silverleaf nightshade best management practices, tailoring the need of different farming enterprises in broader geographic regions across multiple states. 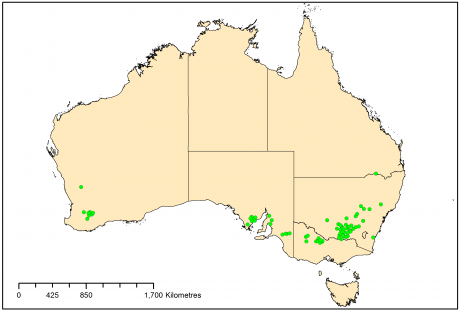 Presently there are greater than 350 participatory trials sites established in 82 locations throughout Australia (see map). The trial selected on each farm is dependent on the production system and current management used to control this weed. The trials have received great support from farmers, who say that they have improved their capacity, motivation and confidence to manage SLN more effectively.